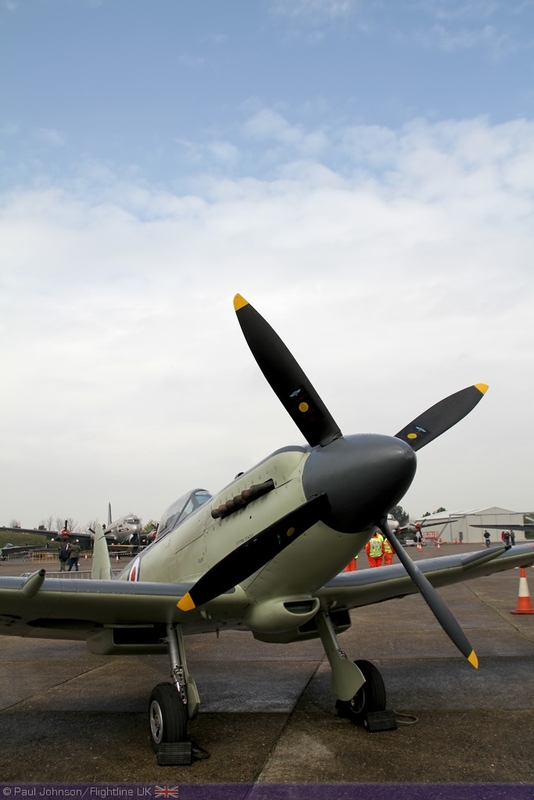 Ending the long winter 'off-season" was the Gathering of Warbirds and Veterans at North Weald in Essex. 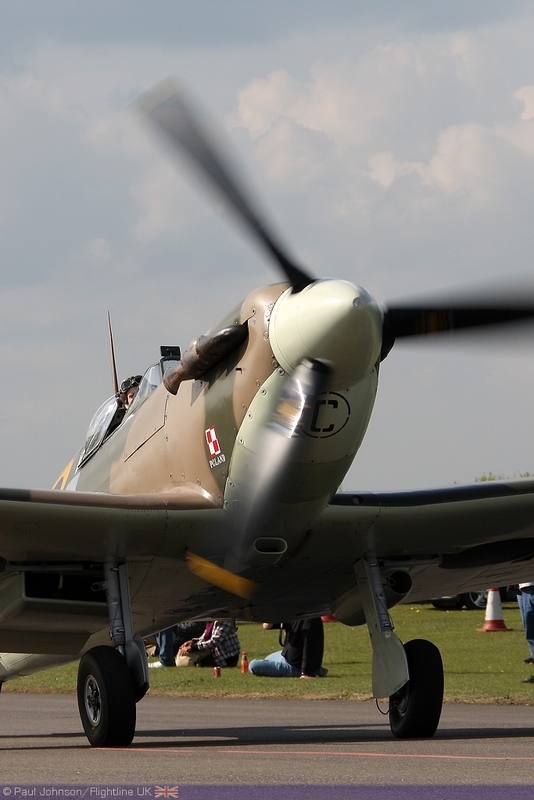 Rather than presenting an airshow, this event was more of a fly in containing some of the UK's most exotic warbirds and historic machinery with everything from Spitfires to Jet Provosts. In the hangers were a large gathering of veterans from the second world war including some from the Luftwaffe. 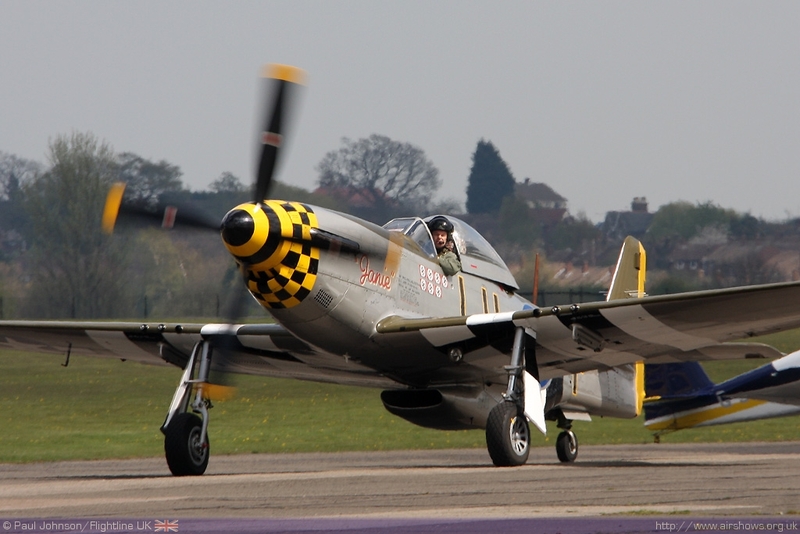 Paul Johnson/Flightline UK reports North Weald. All photography copyright of the Author. It was time to dust off the camera bag, stock up on the Memory cards and hit the road at the end of April for the "Gathering." 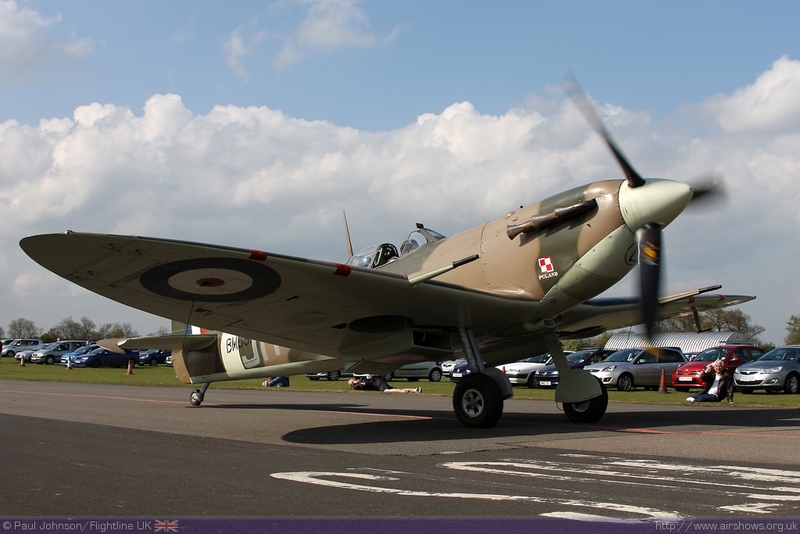 It may not have been a full airshow, but following the success of the Hurricane Gathering in October, this was a highly anticipated event. 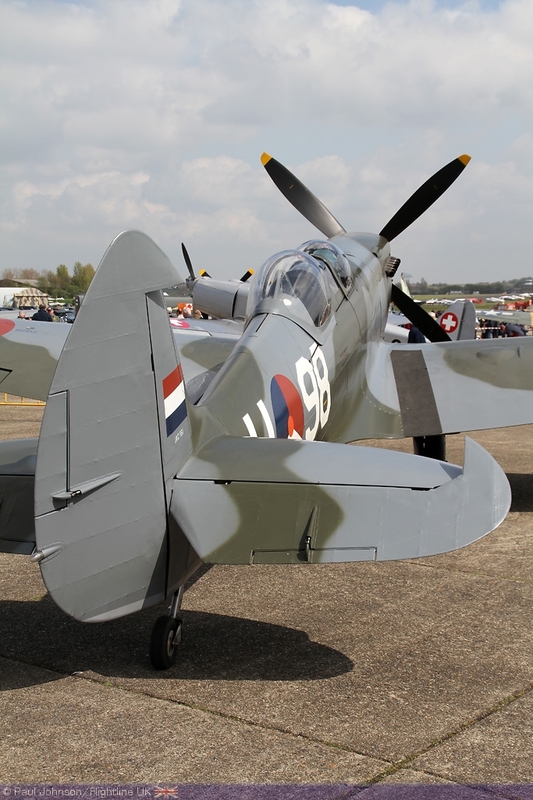 North Weald has also been a popular airfield and is currently home to some of the UK's most regular performers at airshows. 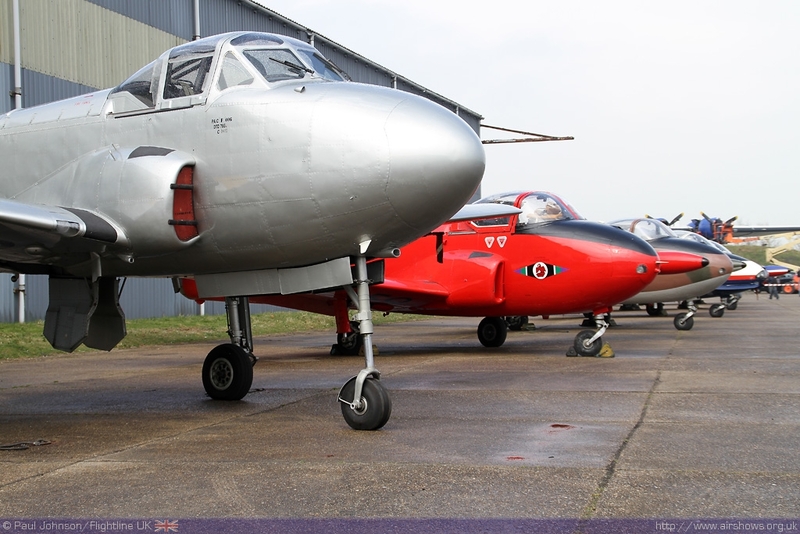 The Gnat Display Team, Swept Wing Aviation, Vampire Preservation Group, Kennet Aviation and Peter Teichman's Hanger 11 Collection all call North Weald home. It's somewhat surprising then that the airfield has not seem a major airshow for quite some time. It was the late nineties when the last two "North Weald" airshows were held after the much loved 'Fighter Meet' disappeared in 1996. There have been a number of smaller events though at the famous fighter station. 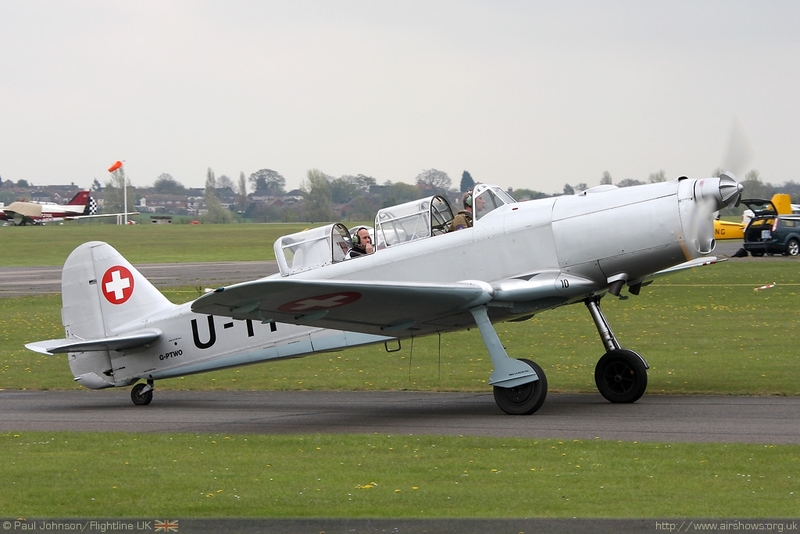 Recently, there have been some small, but fascinating fly-ins celebrating the airfield's association with Norwegian squadrons during the second world war. These wee followed last October with the 'Gathering of Hurricanes and Veterans' which took place outside the famous "Squadron" on the northside of the airfield. 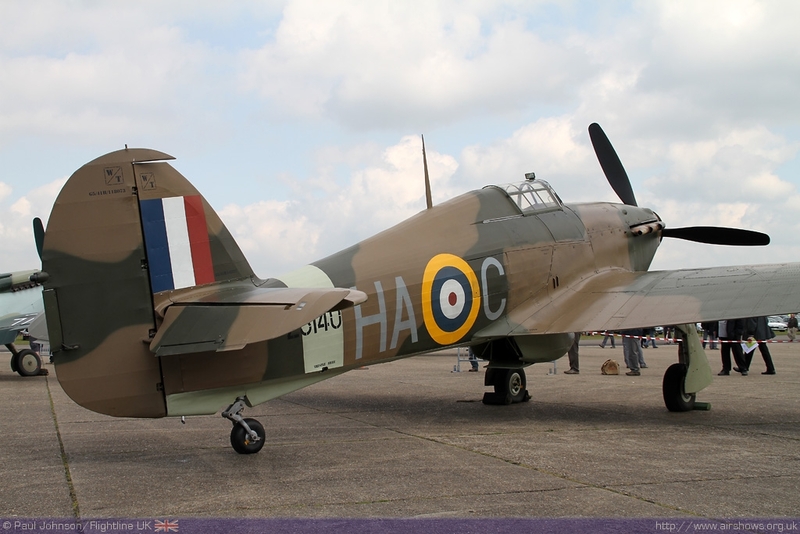 This saw four of the UK's population of Hawker Hurricanes attend along with many of the veterans most closely associated with the type. 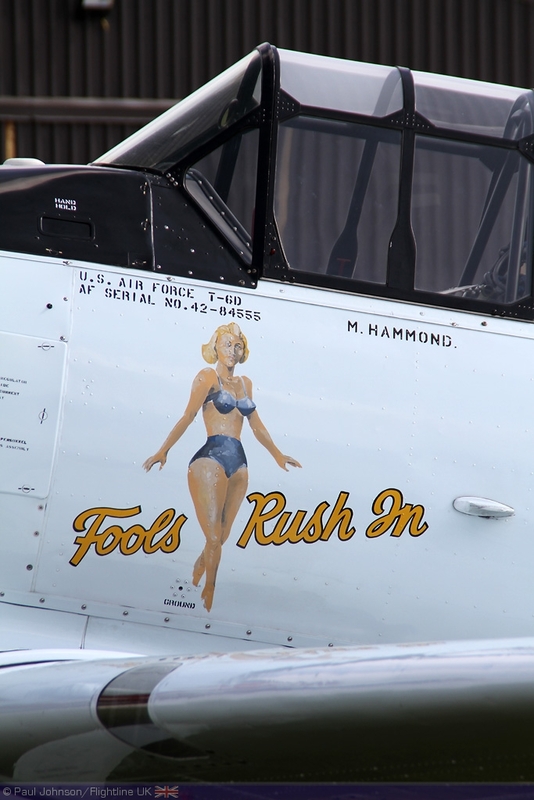 The success of that event evolved in this year's much larger "Gathering of Warbirds and Veterans. 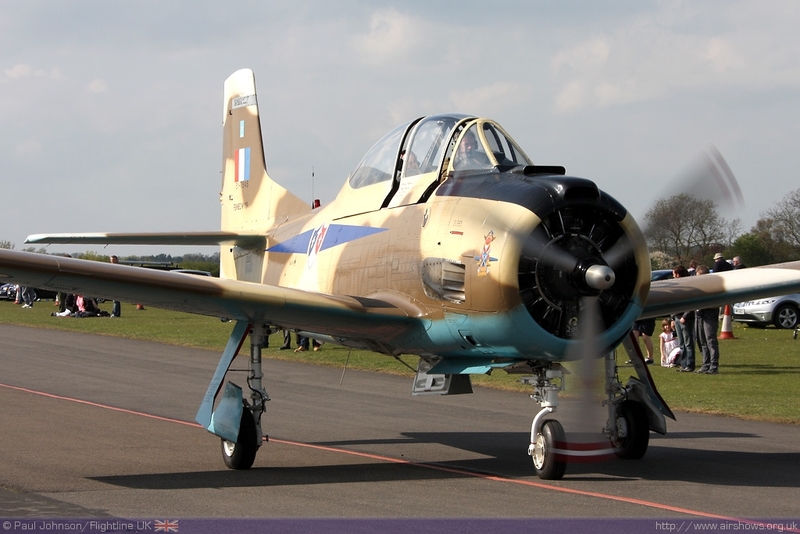 Again the event would be an impressive fly-in of many different warbirds and an impressive list of attending Veterans. 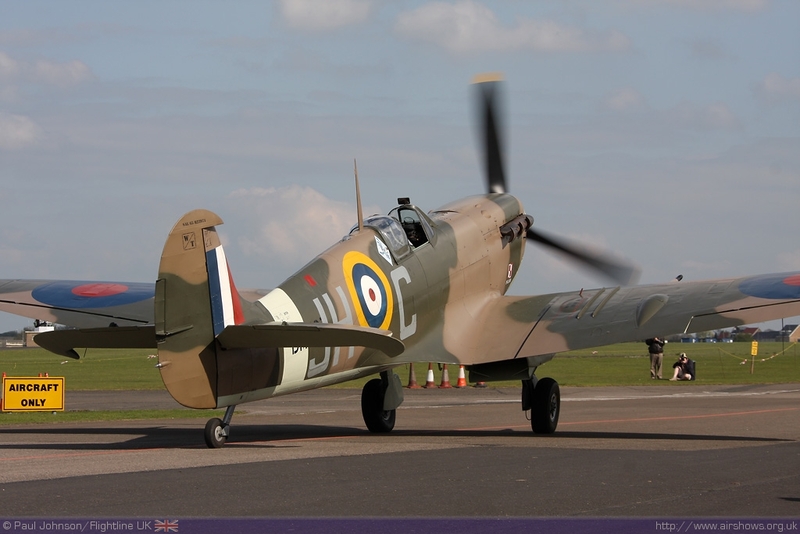 The event supported two very deserving charities - Help for Heroes and the Sir Sydney Camm Memorial Appeal. 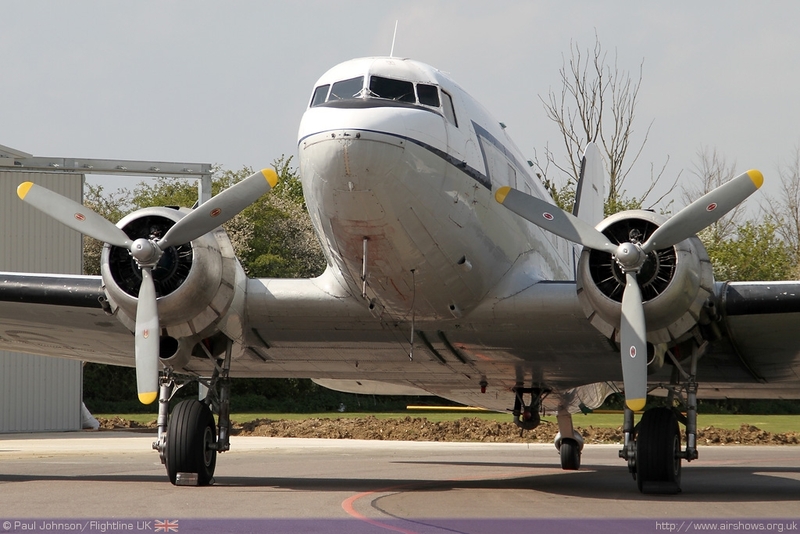 While Help for Heroes is a charity with huge following doing sterling work for injured troops return from front line operations, the Sir Sydney Camm Memorial Appeal is an equally interesting project. 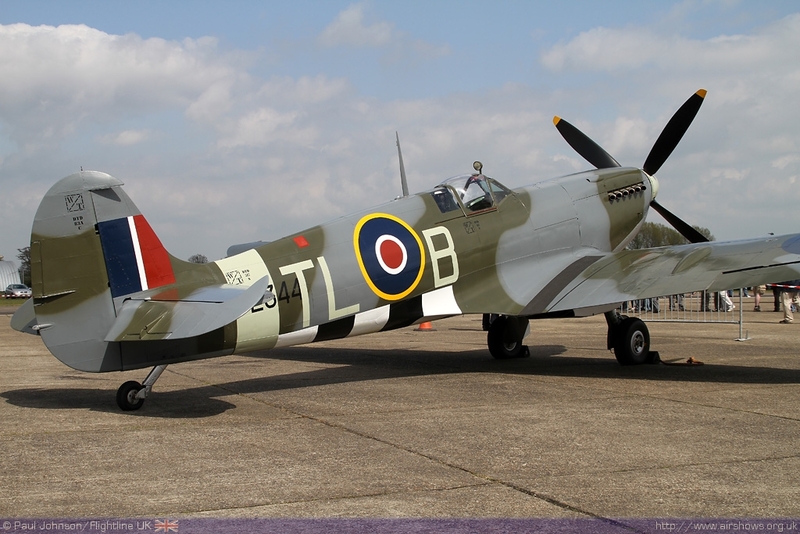 The aim of the appeal is to fund construction of a full size replica Hurricane in Alexandra Gardens, Windsor as a permanent Memorial in his home town. The parent organisation also fund a scholarship in Sydney Camm's name to young aspiring aeronautical engineers. 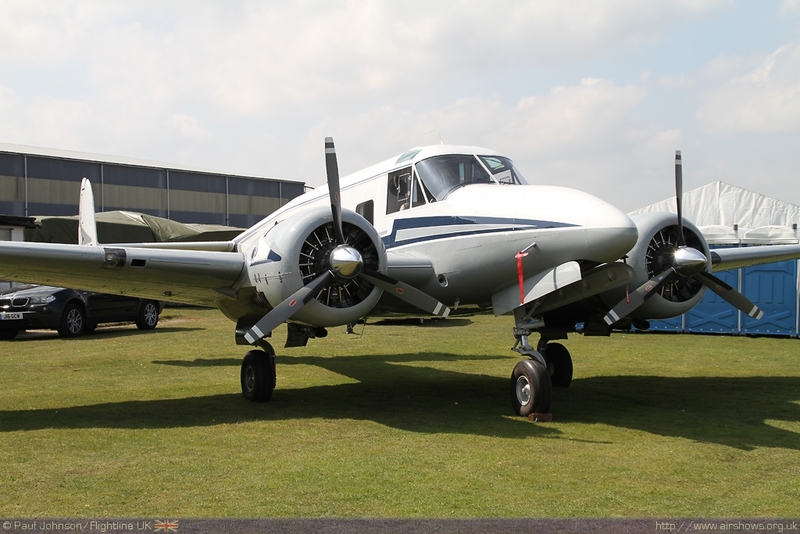 The event was organised by Weald Aviation in association with Kennet Aviation and was first announced at the beginning of the year. 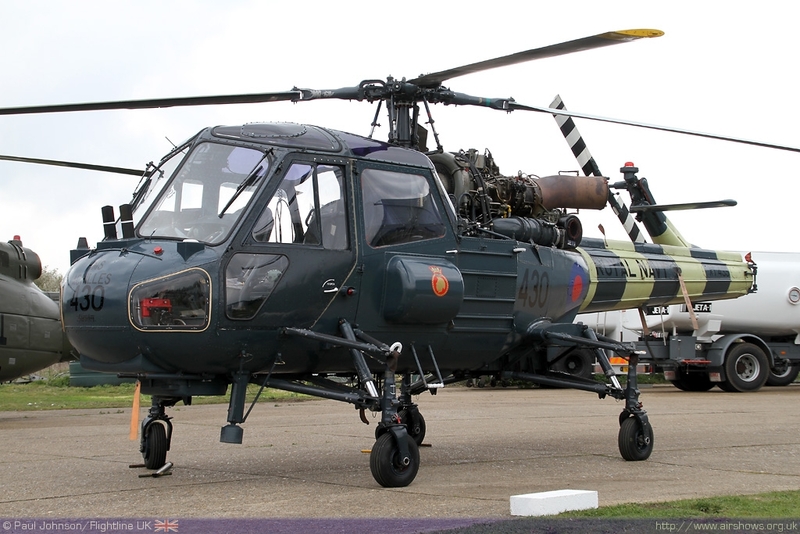 That initial announcement contained an already impressive list of aircraft and veterans. As the months rolled past, the list changed but got ever more impressive. The day of the event was really a day of two halves. The early morning was very grey and damp and probably just flyable for some late arrivals for the event. The afternoon saw altogether much kinder conditions with some early summer sunshine and a cloud dappled sky providing a wonderful backdrop for photographs. The format of the event was very simple. 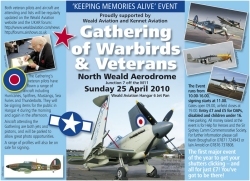 Within one of the large hangers, the veterans were on hand to sign prints and memorabilia in one of the hangers adjacent to the large concrete pans from where Kennet Aviation and many of the classic jets based at North Weald operate from.. Out on the that pan where the aircraft that flew in along with a few select trading outlets. 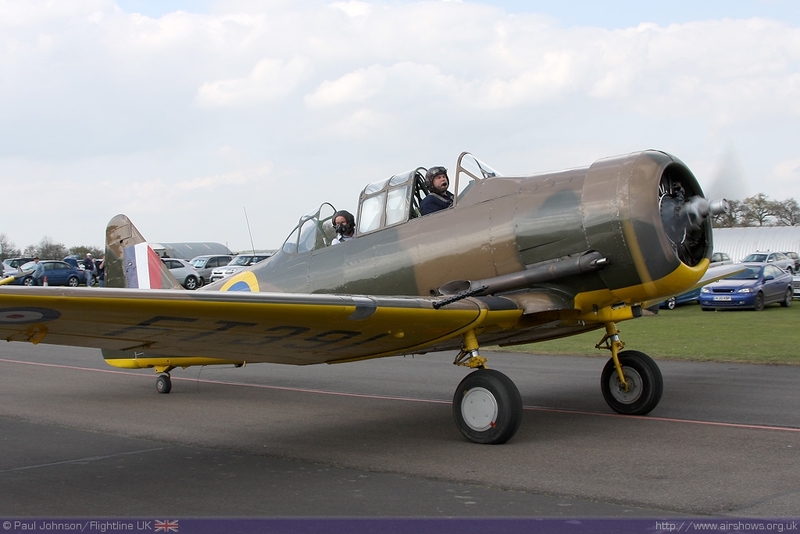 As well as the static aircraft, there was good viewing access of the active aircraft side of the airfield from The Squadron or further round towards the gathering. 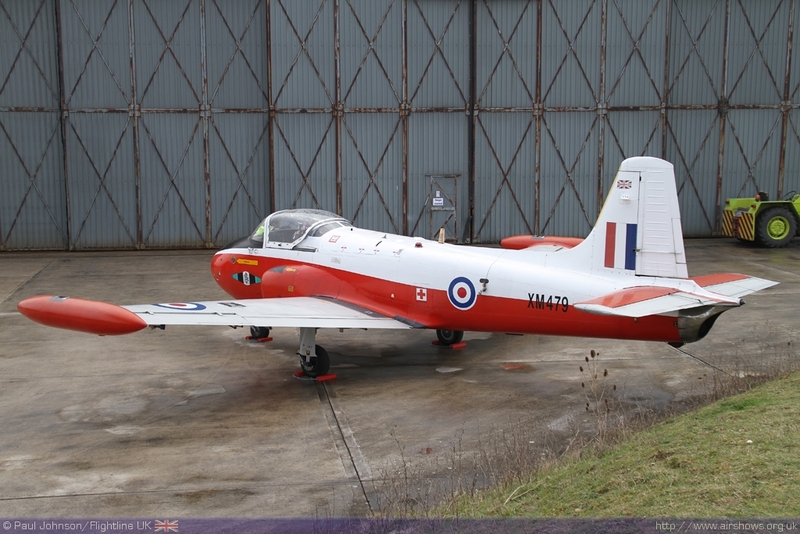 One of the aircraft operating during the day was the Vampire Preservation Group's Vampire T11. 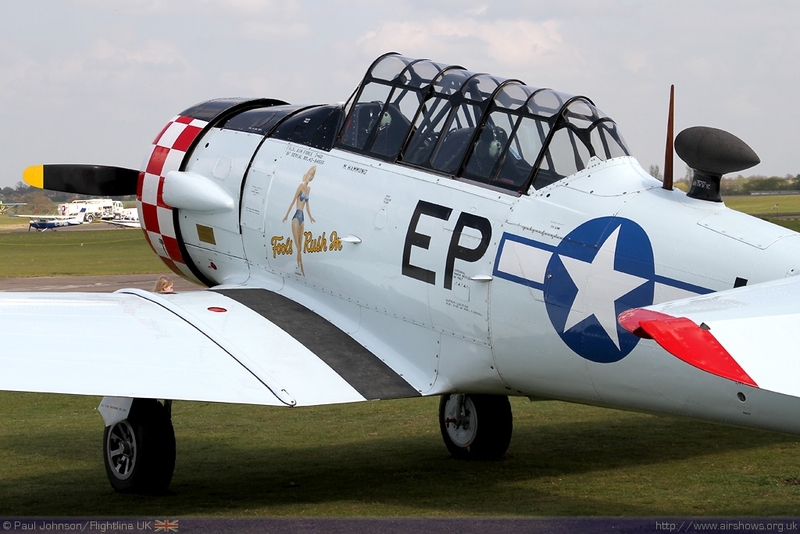 This is one of the many classic jets to be based at North Weald and is regular on the airshow circuit throughout the summer. One of the flights during the day was for the winner of an annual photographic competition run by the group, Ben Montgomery. 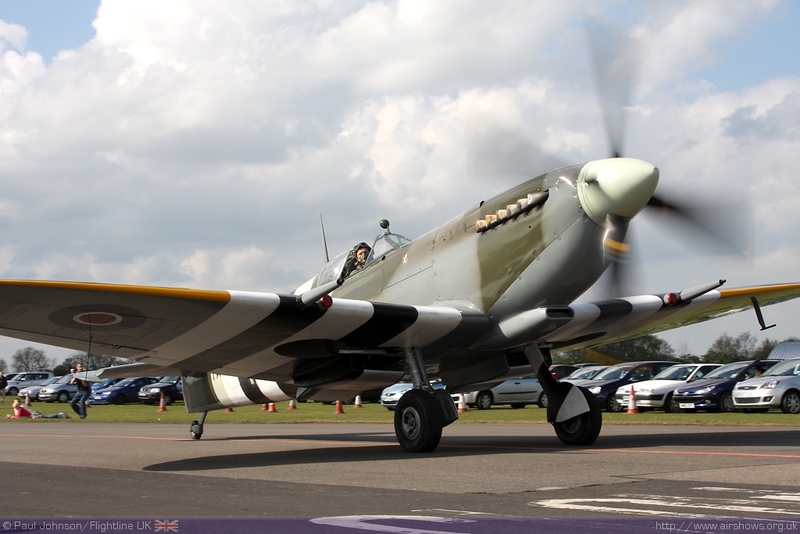 While many of the warbirds arrived the day before the event, the slightly changeable weather meant that some made later arrivals during the day itself. 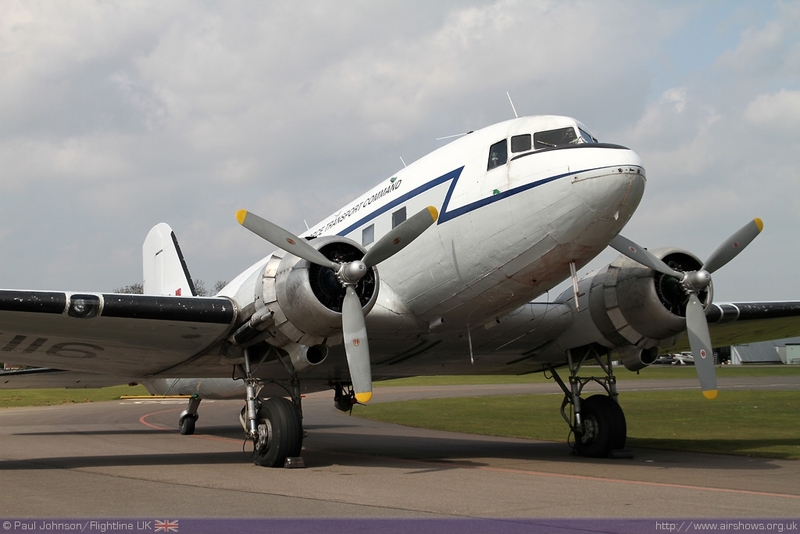 Amongst the early birds were Air Atlantique's Douglas DC-3 Dakota and Kennet Aviation's Provost T1. 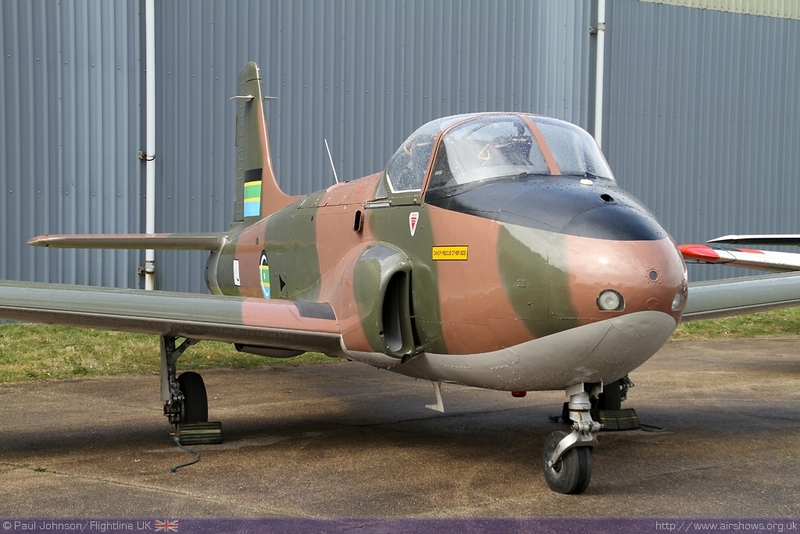 The latter joined an impressive collection of Jet Provosts and Strikemasters if various marks which included Tom Moloney's Kuwaiti Air Force Strikemaster and Neil McCarthy's Jet Provost T3A. 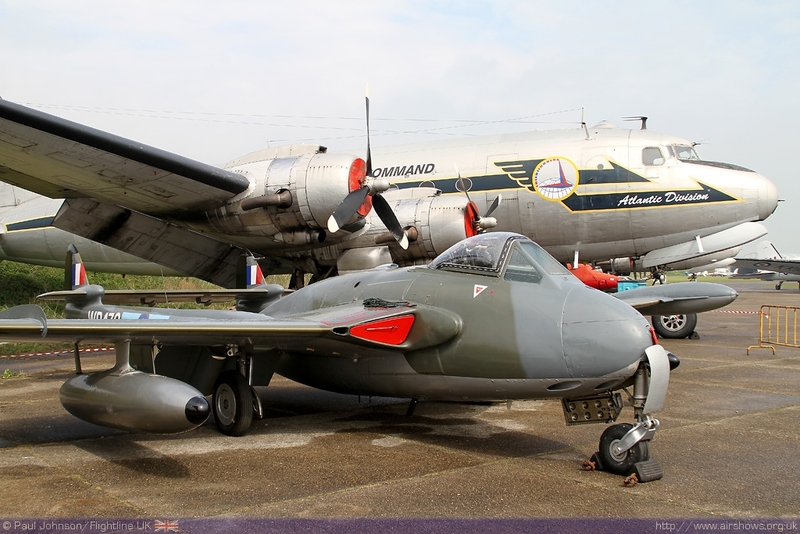 Another classic jet in the line up was one of Air Atlantique Classic Flight's De Havilland Venom FB50 which was tucked up under the wings of one of the resident DC-4s which have been long term residents at the airfield. Also in one of the hangers was the former OFMC MiG-17. 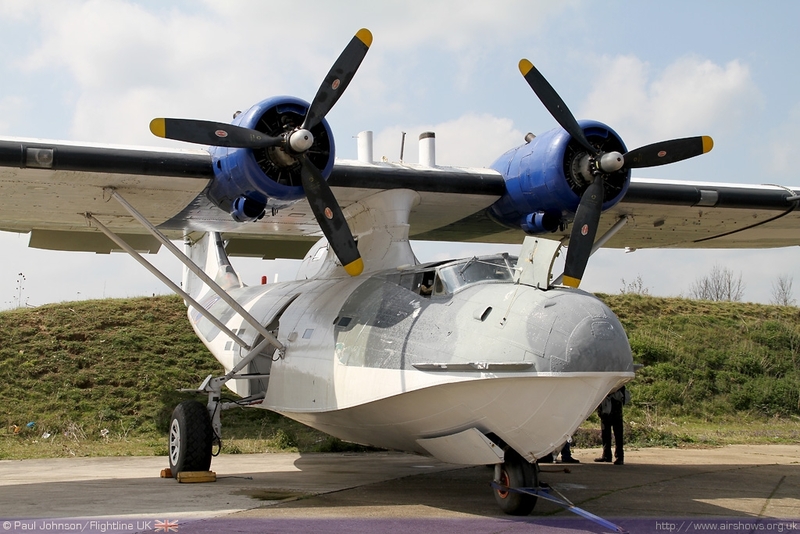 Another resident of the airfield is a Consolidated Catalina which is under going some restoration work before departing to the US later in the year and resides alongside the DC-4's up against the banking separating the airfield from the M11 motorway. 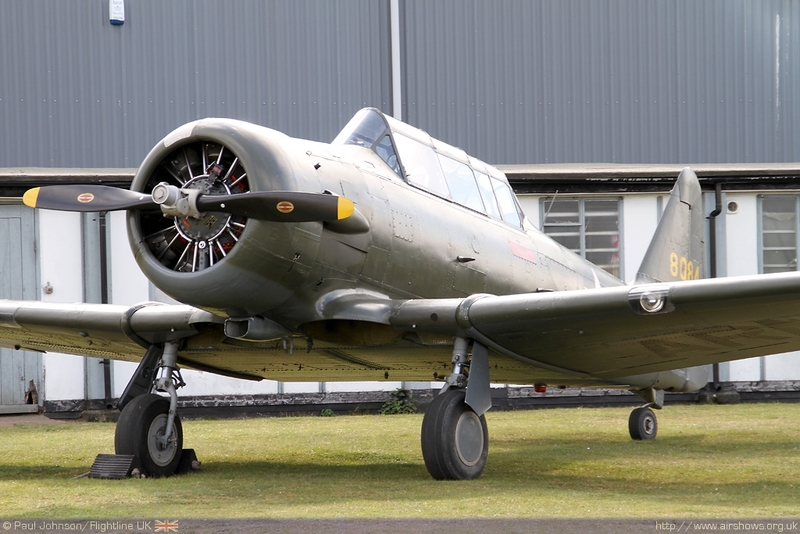 Some other interesting visitors included Richard Meredith's Pilatus P-2 from Kent, the 108 Groups Nord 1002/Me108 G-ETME, AACF's Percival Prentice, a rare tricycle undercarriage Beech 18 as well as a trio of T-6/SNJ Harvard/Texans and Martin Willing's T-28S Fennec. 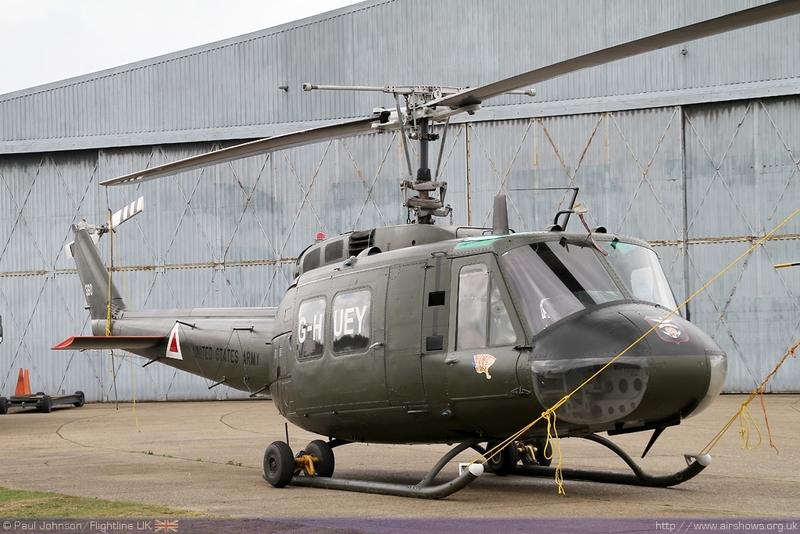 As well as fixed wing aircraft, Kennet Aviation exhibited one of their Westland Wasp helicopters alongside Sweptwing Aviation's iconic UH-1 Iroquois G-HUEY. But it was the superb collection of Second World War 'heavy metal' that provided the highlights of the day. 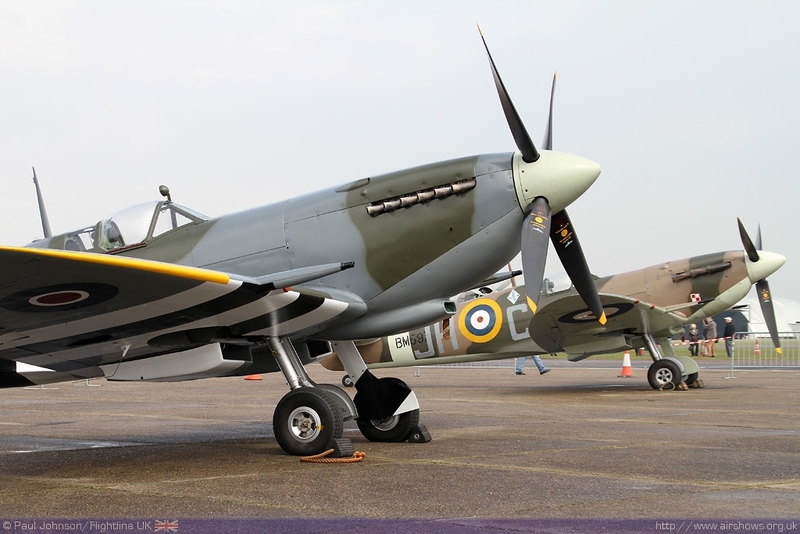 The Aircraft Restoration Company and Historic Aircraft Collection sent a galle of Supermarine Spitfires and a Hawker Hurricane XII for the event. 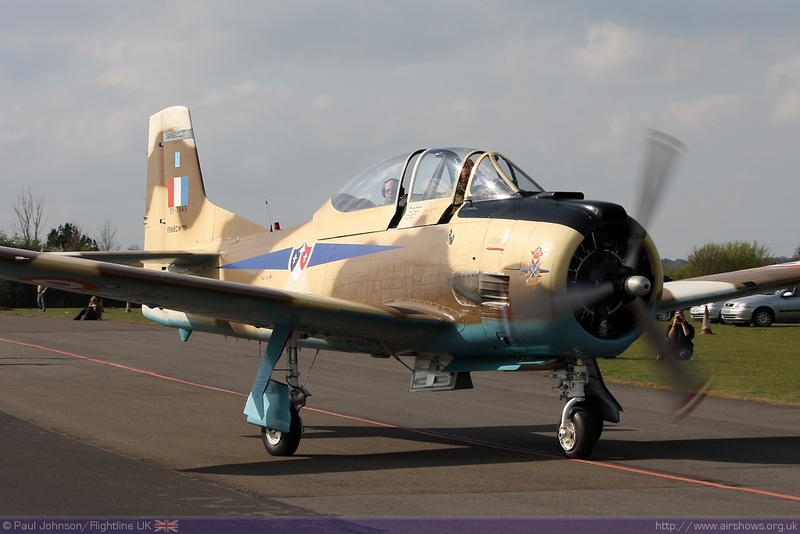 Kennet Aviation also had their Skyraider on display as well as their Seafire XVII. 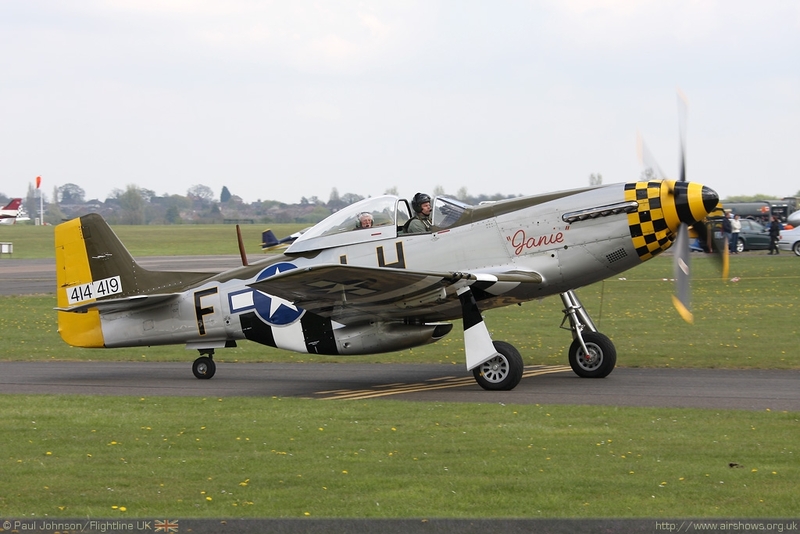 Joining them were the two stunning P-51D Mustangs from Maurice Hammond that arrived just after lunch. 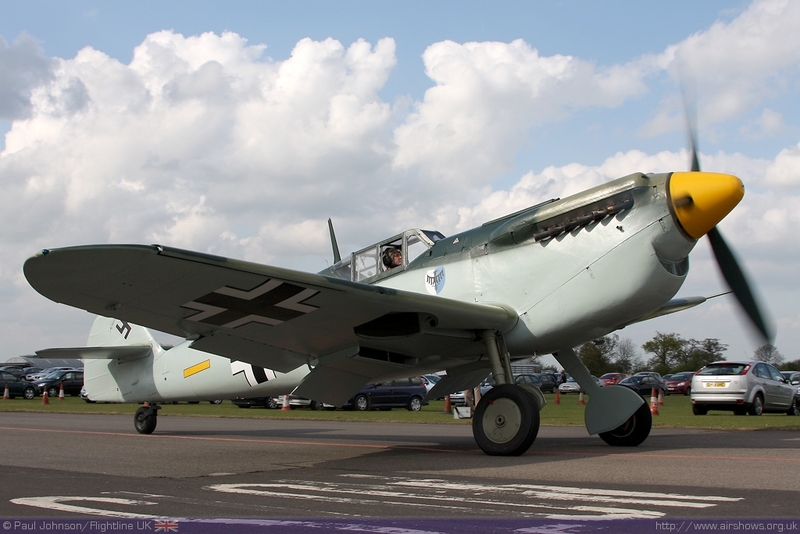 But the star of the show was Spitfire Ltd's Hispano HA1112 MIL (Me109J) Buchon in it's authentic filming markings from the epic 'Battle of Britain.' 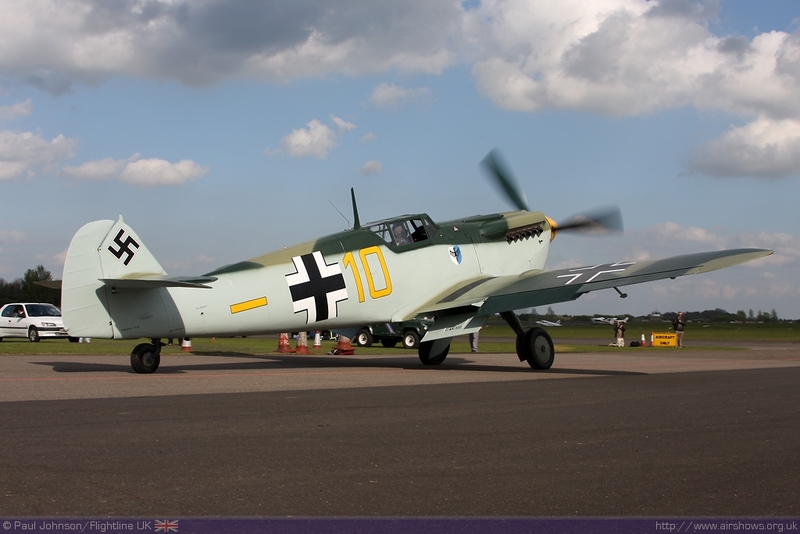 Recently discovered photographs and documents revealed that this particular Buchon has worn the markings of 'Yellow 10' for some of the filming for the 1968 film. To help celebrate the 70th Anniversary of the Battle, these markings were reapplied in time for 2010 season. 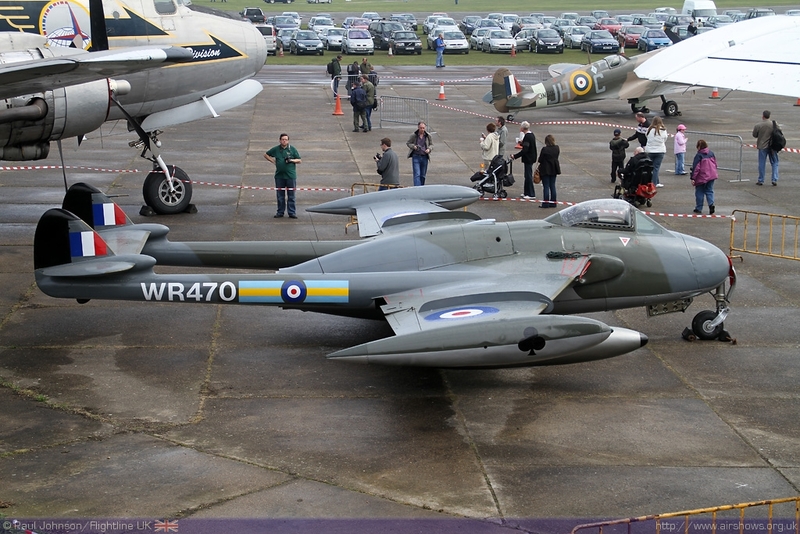 The 'Gathering' was a fantastic way to start a long season of aviation events in the UK. 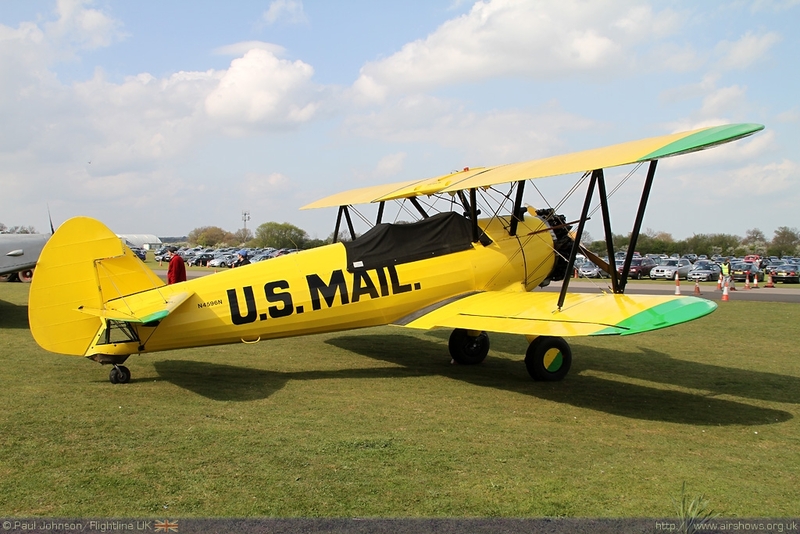 With some great aircraft with fanastic photographic oppotunities, heroic veterans and some nice weather (in the end) this was a very fine event indeed. 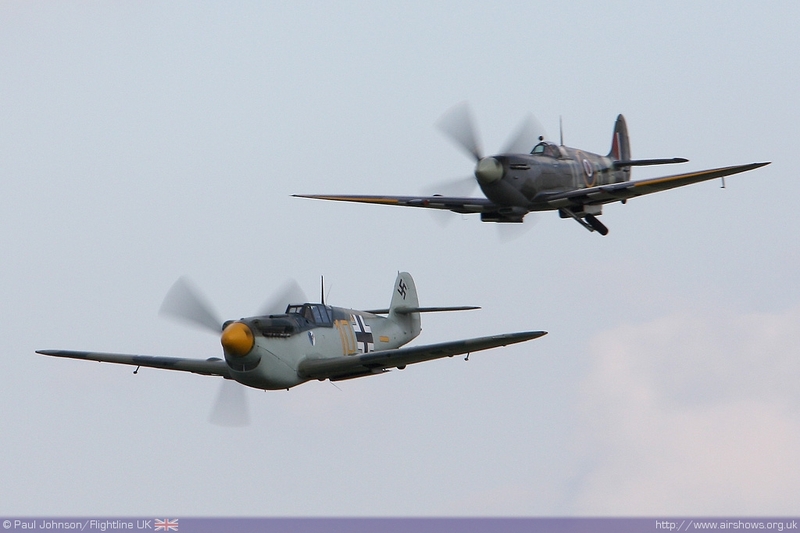 Let's hope the success will encourage further events at this famous airfield.